Algebra Made Easy as Arithmetic demonstrates how the application of some basic arithmetic procedures can greatly simplify many algebraic operations. It also shows that there are other approaches to algebraic solutions which some students may find simpler to use. Math skills are required for most high paying jobs in today’s technology-driven economy. As Algebra is considered the gateway to higher Mathematics, understanding and appreciating Algebra is vital to any student’s life. This book is useful to Elementary and High School Math teachers, Algebra instructors, parents, and students of all ages. In the age of digital technology, daily activities are anchored on computations by men and machines. Mathematics isn’t just knowing your multiplication table. It is also about creative and analytical thinking. This book unlocks the ideas behind Algebra as applied to Arithmetic. To teachers, students and enthusiasts of Mathematics, go forth and multiply (no pun intended) using the techniques in Algebra Made Easy As Arithmetic. 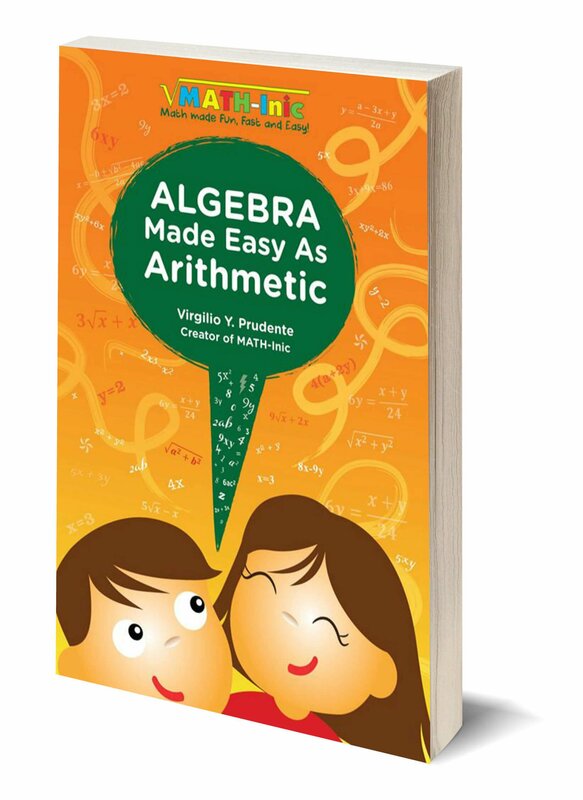 Algebra Made Easy As Arithmetic is a terrific book that offers something for everyone. Math lovers will be challenged to understand why the tips and techniques actually work. On the other hand, students who need some help with math can try out all the techniques, and pick out the ones that they like best. I can recommend this book to all algebra students, and to their teachers as well!